We all know that downloading large files using Chrome’s built-in downloader is not ideal. Most of the time, the large downloads cancel due to some issues in midway and we have to start the download again. Enabling parallel downloads in Chrome can solve this problem. While this setting will not prevent large downloads from canceling, it will increase the download speed so there is less chance of anything going wrong. 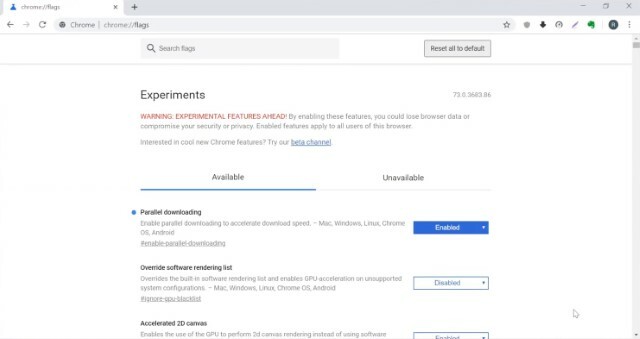 You can enable the “Parallel Download” feature by going to Chrome’s Flags page which is where all the experimental Chrome features are hosted. 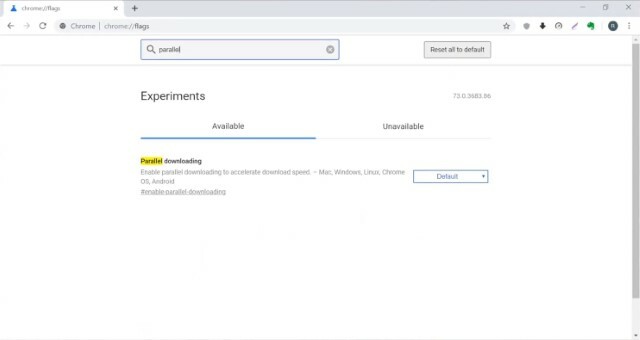 To enable this feature, go to Chrome Flags page and then search for “parallel downloading”. Enable this and then relaunch Chrome. Now your downloads will be faster reducing the download speed. Does your Chrome browser feel like it’s slowed down when a number of tabs are open? Well, Chrome is often rebuked to be a memory hog that eats up your RAM. If that’s the situation you are in, then enabling the #automatic-tab-discarding flag will be a boon for you. Chrome maintains a memory use list at Chrome://discards and will now start to discard tabs, starting from the bottom – highest precedence. 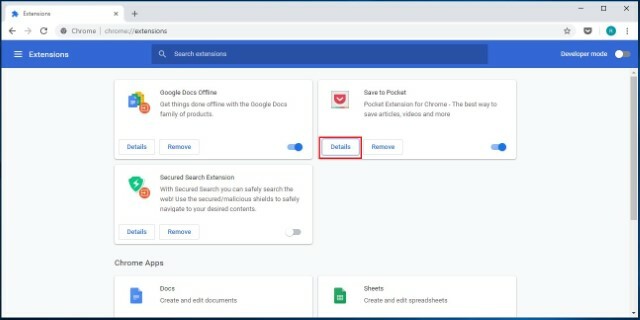 This means it kills the process and disables the tabs in an attempt to conserve memory and you’ll have to reload them once you’re ready to use them again! 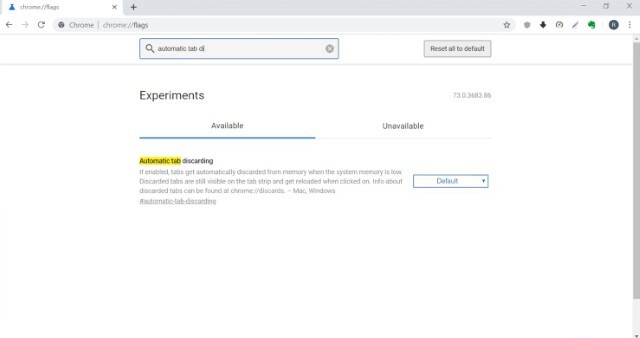 With the Chrome version 73 stable release, Google Chrome now allows users to select DuckDuckGo as the default search engine. If you don’t know about DuckDuckGo, it is a privacy-focused search engine which doesn’t store or track your web browsing history. While Google will still track you when you are using Chrome, using DuckDuckGo will ensure that it doesn’t have any indication for your searches. 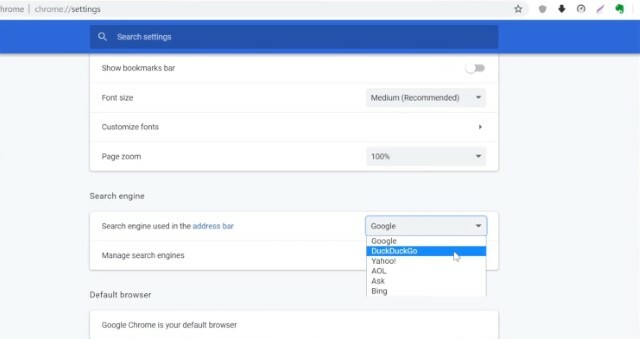 You can make DuckDuckGo your default search engine by going to Settings and under “Search engine” selecting DuckDuckGo as your default search engine. Now whenever you search for anything Chrome, it will use DuckDuckGo instead of Google. 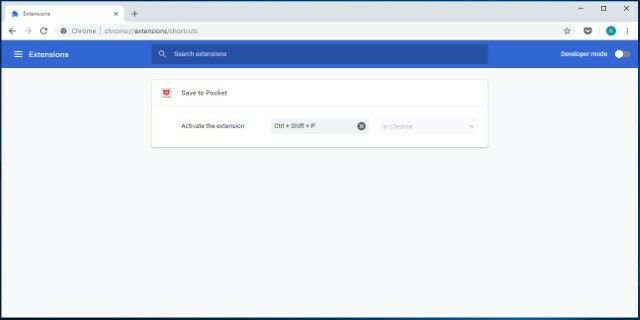 The Omnibox aka the address bar in the Chrome it one of its most powerful feature. It allows you to search for things on the internet, search for things on specific websites, go to specific URLs, offers predictive autocomplete, and more. And it’s only getting better. Now you can search for files saved on your Google Drive directly from Chrome’s Omnibox. You can search for files using the owner name, type, and more. 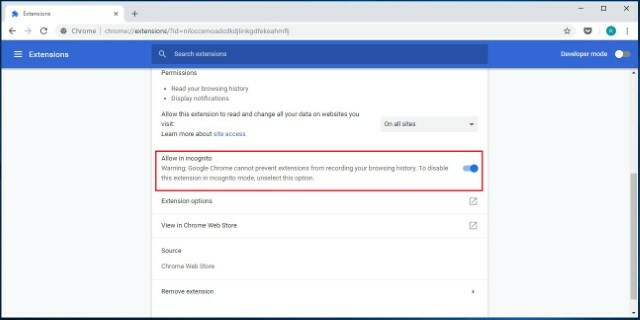 You can enable this by going to the Chrome Flags page and search for Omnibox. Enable this and relaunch Chrome to use it. Just remember that you need to be logged into your Google account for accessing the files. 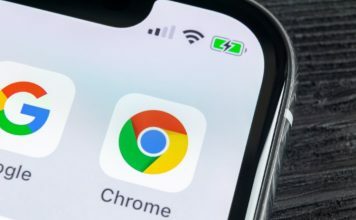 Our smartphones are becoming larger and longer which makes it impossible to access Chrome’s address bar, tab buttons, and more with just one hand. Well, there is a Chrome Flag which can help you solve this problem by bringing the address bar and other buttons at the bottom. 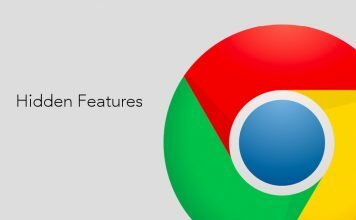 The feature is called “Chrome Duet” and can be enabled by going to Flags. 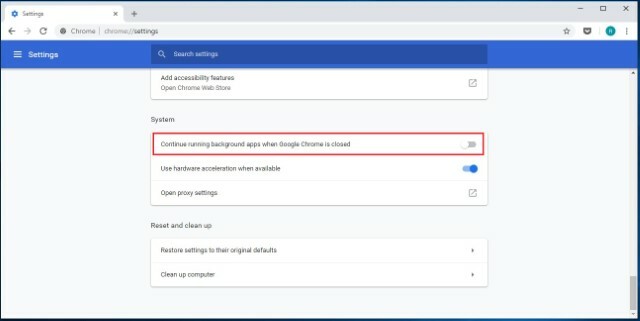 Just search for the #enable-chrome-duet flag and activate it to display important buttons, such as home, tab switcher, search, share, and overflow menu in a bottom bar for easy one-handed use. The desktop version of Chrome supports gestures for going back and forward on both Windows and macOS. However, that feature is missing on Chrome mobile. 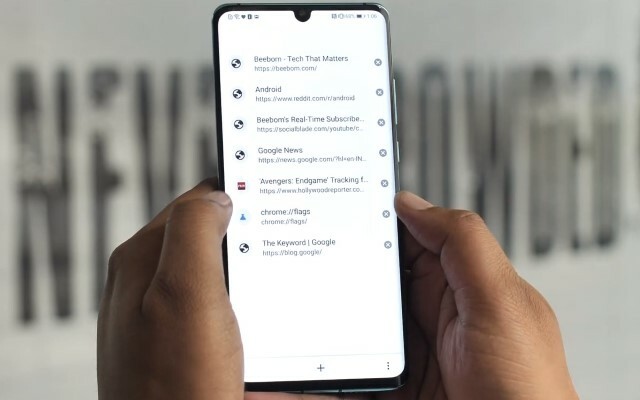 Well, if you want this feature, you can enable it by using the gesture navigation Chrome flag. Go to Chrome Flags and search for “gesture navigation” and enable it to start using gestures on Chrome. By default, Chrome brings a vertical tab switcher which looks cool however is not user-friendly. You can enable a horizontal tab switcher by going to Chrome Flags but that is also not ideal. If you want the most functional tab switcher on Chrome, you should be using the accessibility tab switcher. 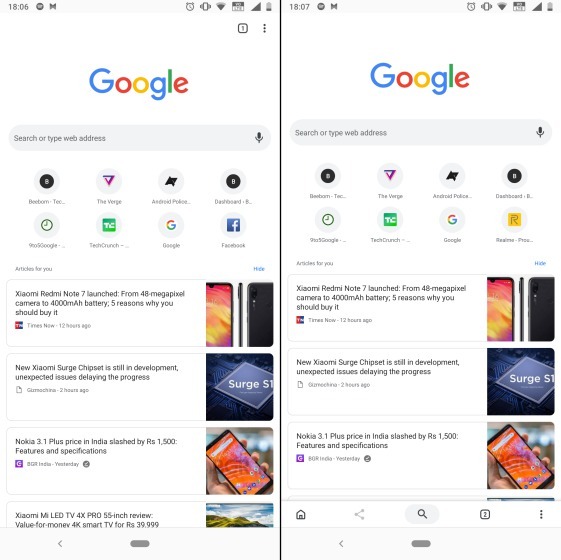 The accessibility tab switcher just shows you the list of websites on a single page which allows you to quickly move between tabs without any swiping gestures. Just hit the tab button and then tap on the tab that you want to switch to. However, note that you will lose website previews which you get with the default and horizontal tab switcher. 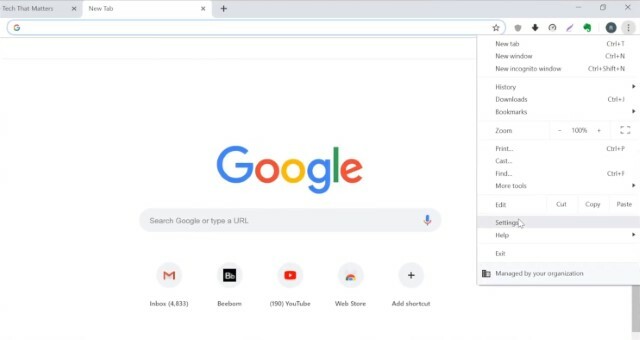 Chrome Desktop browser allows you to create shortcuts for the websites that you want to visit. For example, When I type in the shortcut “xb” in my Chrome’s browser and hit enter, it opens our own website. 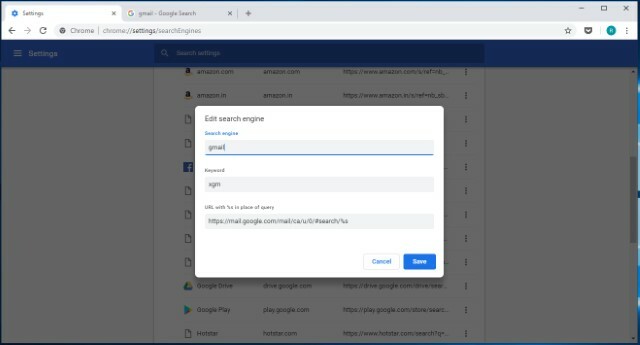 To create and save these shortcuts just go to the search engine settings page on Chrome (chrome://settings/searchEngines) and click on the “Add” button next to the “Other search engine” menu. Here, enter the name of the website in the first field, the shortcut you would like to use in the second field, and the URL of the website in the third field. Once you added all the information, click on the “Add” button to add the shortcut. 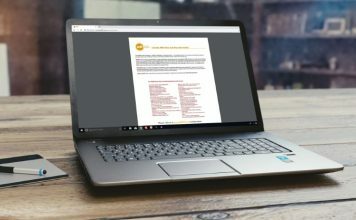 That ends our article on the most important Google Chrome settings that you should change to get the most out of the Chrome browser. If you have any problem in managing any of the settings mentioned on this page, let me know in the comments section below and I will help you out. If there’s an important Chrome setting that we have missed and you would like to share with us, drop it down below too.